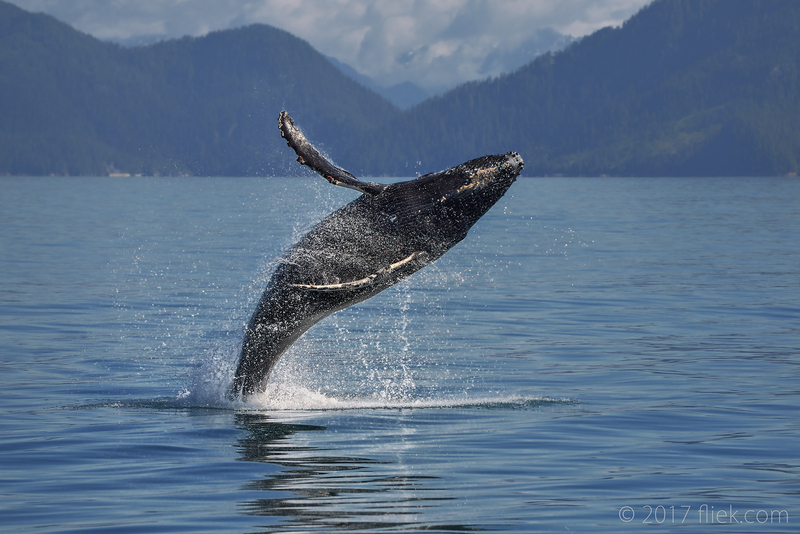 The first time you see a breaching humpback whale is something you are unlike to ever forget. In my case, we were sailing towards a large glacier from Seward, Alaska when we found ourselves right in the middle of a group of humpback whales going for an early morning snack of fresh fish. Next, we saw a mom and her young one taking several jumps out of the water. I was still carrying my D4S/500mm combo and all of a sudden these humpbacks decided to jump right next to our boat… what are the chances! So I grabbed my (then) D610/70-200mm combo and ran from one side of the boat to the other to get some shots of these humpbacks jumping out all over the place. Something I have not seen again anytime, anywhere afterwards; the captain actually said the same: something he had never seen before. Nikon 70-200mm f/2.8G @ 200mm, on Nikon D610, f/5.6, 1/1250 s., ISO 160, -0.3 exp. comp.